Now you can have an Autobot of your own! The Transformers movie series has been incredibly successful at the box office, generating $1.5 billion in global box office sales. The series has also been a successful marketing platform for Chevrolet to re-introduce their new Camaro. Back in 2009, when Transformers: Revenge of the Fallen debuted, the Camaro was the most searched automobile on the internet according to Yahoo!Autos, even though the car had yet to reach dealer lots. 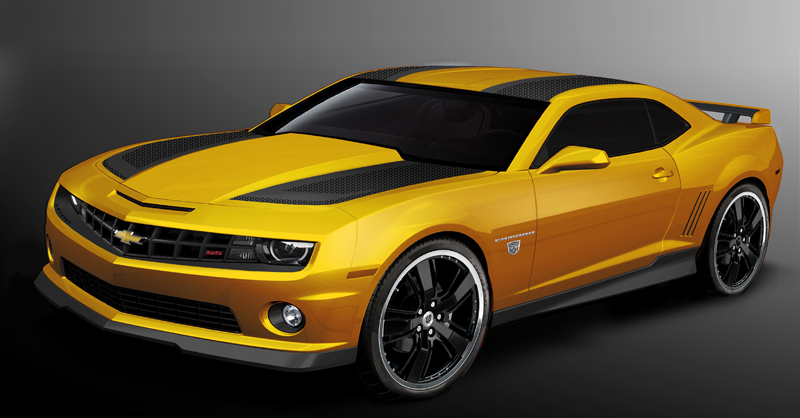 Celebrating the success of both the Transformers franchise and the Camaro, Chevrolet has released a special edition Transformers Bumblebee Camaro. The new Transformers Camaro will be offered as a $3,000 package on 2LT and 2SS Coupe models with Rally Yellow paint. As part of the Autobot’s package, the popular RS styling kit will be included along with black rally stripes that extend from the roof, hood, decklid, and rear spoiler. Autobot shield logos are worn at each of the front quarter panels as well as on the centercaps of the 20-inch black wheels with high-performance summer tires. Optionally, customers can choose from two dealer installed options: new 21-inch black wheels and a black ground effects package. Inside, the Transformers Bumblebee Camaro will feature a black leather interior with contrasting yellow stitching on the center console, arm rests, seats, and instrument panel. New Autobots shield logos adorn each of the front headrests and center console lid. 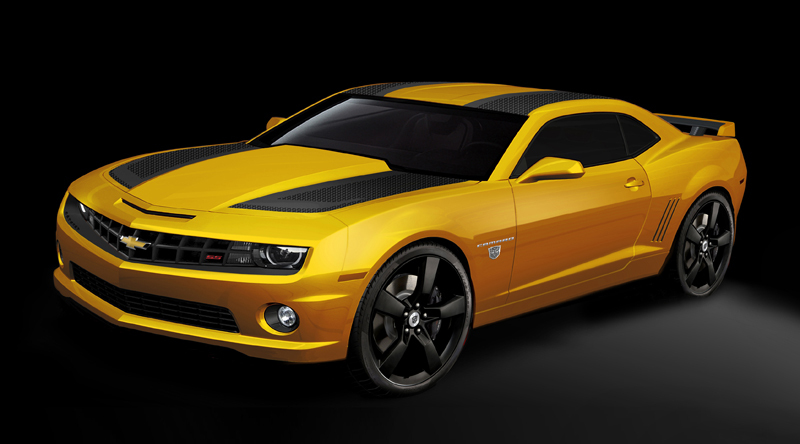 The 2012 Transformers Bumblebee Camaro coupe will be available in the US, Canada, China, Japan, Europe, South America, and the Middle East. Customers can begin ordering the cars in July. Deliveries in the US and Canada will commence in September. When you get yours, try and find the hidden button that will make the car transform! What do you think of the new Transformers Bumblebee edition Camaro? Leave a comment and let us know!